In the UK, the government reviews the rate for National Minimum Wage or NMW in April each year, to include recommendations from the Low Pay Commission. Accordingly, all employers in the UK must agree to pay at least the NMW to their workers up to the age of 25 years. For employees and workers older than 25 years, the National Living Wage or NLW applies instead. 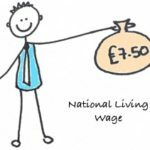 The National Living Wage is set around 50 pence higher than the National Minimum Wage. 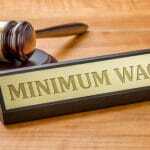 That said, an individual must be of at least 16 years of age, to be eligible to receive the Minimum Wage. What is the National Minimum Wage in the UK? Since 2009, the rate for the minimum wage has steadily increased at an annual rate of 20 to 30 pence per hour. Though the rate is calculated at an hourly rate, it applies to all types of employment in the UK, including workers who are not paid per hour. According to a study conducted by the European Commission, the minimum hourly wages in the UK compared favourably to its European counterparts, as the country ranked 7 out of the 22 countries. However, the minimum wage rate in the UK is still lower than those in Luxembourg, Belgium, the Netherlands, Germany, France and Ireland. In April 2018, the rates of the National Minimum Wage (NMW) and the National Living Wage (NLW) were increased. While the NLW saw an increase of 4.4 percent, to £7.83 per hour, the youth rates of the NMW also saw the most significant increase in almost a decade. The UK government is further committed to recommending the minimum wage would reach 60 percent of median earnings by the year 2020, provided the economy sustains its growth pattern. This increase has improved the hourly wages of employees, who were previously paid below £7.20. Also, the new rates may also have benefited those individuals who were working on higher salaries, since employers tend to increase their wages too. This is done to maintain a visible differential between employees working on the lowest wages and those who are earning slightly more. Who is Eligible to Receive Minimum Wage in the UK? In the case of apprentices, if they are aged under 19, or are still in the first year of apprenticeship, they are entitled to receive an apprentice rate. Alternatively, if they are over 19 years of age or have completed their first year, they must be paid the full minimum wage for their age group, as per the directives of employment law in the UK. In 2018, the minimum wage for apprenticeships was revised to be £3.70 per hour. If, however, you are self-employed, a director in a company or a volunteer, you are not entitled to receive the minimum wage. What are the Existing National Minimum Wage And Living Wage in the UK? How is the National Living Wage Different From the National Minimum Wage? The National Living Wage or NLW was introduced in the UK in 2016. Subsequently, employers were required to pay a higher wage (around 50 pence more) than the National Minimum Wage or NMW to any employee or worker aged 25 years or older. In April 2018, the living wage rate was revised to be £7.83. As per the Statistics Office (ONS) in the UK, it was reported that the creation of the National Living Wage positively affected the age groups of 25 to 29 years and that of those above 60 years of age. Out of these, almost 9 percent reported that they were previously being paid below the NLW. What To Do If you are Paid Less Than The Minimum Wage? While most employers in the UK abide by the minimum wage legislation, there are some who still try to pay less than the amount specified under the employment law directives. According to official sources, approximately 260 employers failed to pay the minimum wage in December 2017. As a result, they owed a total of £1.7 million in back pay to nearly 16,000 workers. Therefore, if you believe you’re being paid below the existing rate, you must first check your employment contract and voice your concerns to your employer. If your employer refuses to cooperate, you could request copies of your payment records from your company. Moreover, you must contact the ACAS helpline for Early Conciliation and advice on a further course of action, if required. 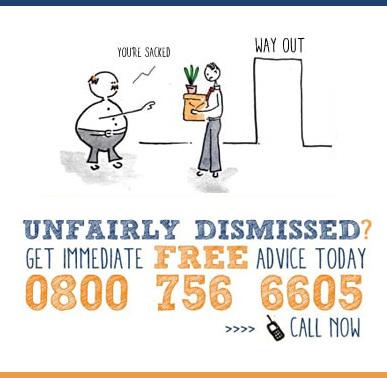 You can also contact an experienced employment law solicitor or Citizen Advice for guidance. 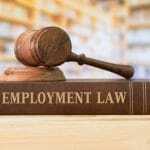 The Employment And Tax Department (HMRC) is entitled by the law to levy a fine on your employer if it is found that they haven’t been abiding by the minimum wage regulations, and if required, can take your employer to a court of law, on your behalf.